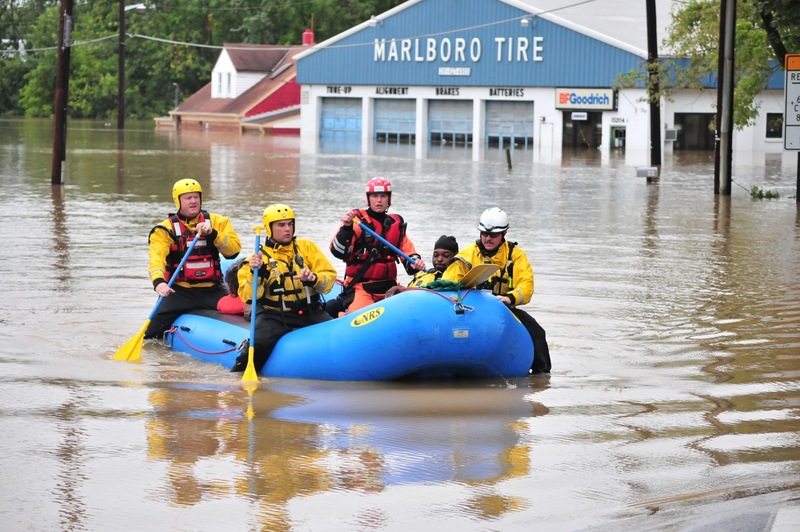 In September 2011, The Clerk of the Circuit Court warehouse in Upper Marlboro sustained significant flood damage due to Tropical Storm Lee. This resulted in the loss of over fifteen thousand dollars worth of Public Safety Assistance Program (PSAP) non-perishable food supplies stored in that warehouse for the annual Holiday Food Basket Program. The Board of Directors of the Public Safety Assistance Program has asked public safety agencies to conduct a special in-house monetary donation campaign to help replace these supplies through bulk purchase. 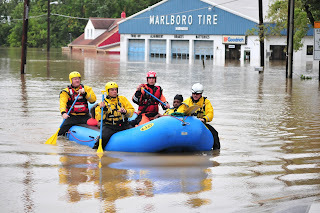 The Fire/Emergency Medical Services (EMS) Department is pleased to partner with the Police Department, Homeland Security/Public Safety Communications, Department of Corrections, and the Office of the Sheriff to support this request. Your charitable donations will ensure that families in our community will have a happy holiday. PSAP is a 501 (c) 3 charitable organization. All contributions are fully tax-deductible. Fire Fighter/Emergency Medical Technician-I Nicole Orme has agreed to serve as the coordinator and point-of-contact for all Fire/EMS Department contributions. Field personnel are encouraged to coordinate cash donations through their assigned Battalion Chief, who will assure delivery to FF/EMT Orme. If you have further questions, FF/EMT Orme can be reached at 301-883-5200. Please consider supporting this worthy cause. All donations are encouraged. Through your generosity, we will help the PSAP to meet their goal of supplying a food basket to every Prince George’s County family in need for the 2011 Holiday Season. When Career Recruit School (CRS) #44 graduated on November 3, 2011, it concluded a year where three academy classes of recruit firefighters successfully completed the Fire/EMS Training Academy. It marked the end of an extensive training program in which recruits have had direct contact with the best fire, rescue, and emergency medical services instructors in the Washington-Metropolitan area. These instructors accepted the challenge to teach and provide exceptional, quality training to the 94, who, successfully completed the Fire/EMS Training Academy curriculum and received Certificates of Achievement. For a majority of time there were multiple classes being held at the same time. Conducting just one academy class at a time can be challenging and these instructors proved diligent in conducting three concurrent classes producing 94 graduates within a year’s time. On the evening of the graduation of CRS #44 Fire Chief Marc S. Bashoor commended the efforts of the Fire/EMS Training Academy staff and presented them with a Unit Citation. A Unit Citation is the highest award a group or unit can receive for their exemplary performance while in the course of their duties. The National Fallen Firefighters Foundation has been working with the family of Hal Bruno to coordinate funeral arrangements. The funeral will take place at 11:00 am on Friday, November 11 at Temple Shalom, 8401 Grubb Road, Silver Spring, Maryland. The event will be open to anyone wishing to attend. 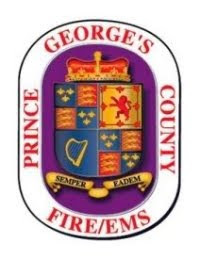 For fire service coordination issues please contact Victor Stagnaro at 240-508-7731 or John Proels at 301-712-7201. Family, friends and fire service members will be received between 1:00 and 5:00 pm in the Anastasi Room at the Bethesda-Chevy Chase Rescue Squad, 5020 Battery Lane, Bethesda, Maryland. Flowers can be sent directly to Temple Shalom, and will be displayed in the front lobby of the synagogue. In lieu of flowers, donations may be sent to the National Fallen Firefighters Foundation, PO Drawer 498, Emmitsburg, Maryland 21727 and marked In Memory of Hal Bruno. A special fund has been established to memorialize his years of service and accomplishments within the American Fire Service Community. A tribute page for Mr. Bruno has been established on the Foundation’s website, http://www.firehero.org/ which includes video clips from his years of service with the Foundation. Messages of condolence can be left in the guest book at http://firehero.org/brunotribute/. On behalf of the Bruno Family the Foundation would like to express their sincere appreciation for all of the outpouring of love, concern and sympathy received. It truly is a fitting tribute for what Hal meant to all of us and a testament to the legacy he leaves. It is with deep sadness that the National Fallen Firefighters Foundation announces that Chairman Emeritus, Hal Bruno, died last evening, Tuesday, November 8, 2011. He was 83. For more than 60 years, Hal Bruno served as an active member of the fire service community, giving selflessly as a dedicated volunteer firefighter, advocate, commentator and leader. He is renowned for his commitment to fire safety initiatives and his compassion for the members of the fire service and their families. Bruno was appointed chairman of the National Fallen Firefighters Foundation in 1999, a distinction he held until his retirement in 2008. Under Hal's leadership the NFFF expanded services and resources for the survivors, including workshops, conferences and scholarships. He guided and supported the Foundation in developing safety initiatives for firefighters and advancing safety practices that will help to reduce the number of line of duty deaths and injuries. On Capitol Hill and at the White House, Bruno was admired and respected for his integrity and ability to work with Democrats and Republicans alike to address important issues impacting our nation's firefighters and rescue personnel. He was a staunch advocate for passing the Hometown Heroes Survivors Benefit Act which provides federal death benefits to the families of firefighters who die in the line of duty from heart attack or stroke. A native of Chicago, Bruno enjoyed an illustrious 60-year career in journalism, retiring in 1999 from ABC News where he was Political Director and host of the weekly talk show, Hal Bruno's Washington. He frequently appeared on debate panels and served as moderator of the vice-presidential debate in, among others, the 1992 campaign. He covered every national election since 1960, most recently as the senior political analyst for Politics.com and as a guest commentator on CNN and other television programs. He was one of the first journalists on the scene of the tragic Our Lady of the Angels elementary school fire in Chicago on December 1, 1958 in which 92 students and 3 nuns died. His report that the fire spread so quickly because of the open stairwell lead to significant changes in fire safety and building standards and codes. Mr. Bruno received numerous awards and recognition from the fire service for his dedication and commitment. In October of 2011 he was awarded the National Fire & Emergency Services Hall of Legends, Legacies and Leaders Award. The Congressional Fire Services Institute's Board of Directors selected him as the recipient of the 2008 CFSI / Motorola Mason Lankford Fire Service Leadership Award and in 1999 he received the "President's Award" from the International Association of Fire Chiefs. He was named "Fire Service Person of the Year" by the Congressional Fire Services Institute in 1995 and in 2009 he received the Fire Buff of the Year Award from the International Fire Buff Associates. He is also a 2008 inductee of the Washington, D.C., Pro Chapter of the Society of Professional Journalists Hall of Fame. Bruno was a reporter, Chicago Bureau Chief, News Editor and Chief Political Correspondent for Newsweek magazine where he covered such matters as the civil rights movement, the 1968 Democratic National Convention and Watergate. He got his start at the DeKalb (Ill.) Daily Chronicle, moved to the City News Bureau of Chicago - where he covered the fire and police beat - and was also with the Chicago American newspaper. Bruno was a war correspondent who covered the 1956 Suez crisis, the Cuban revolution and the Chinese-Indian war. He was a graduate of the University of Illinois, served as an Army intelligence officer during the Korean War and was a Fulbright Scholar to India. Hal is survived by his loving wife Meg, his sister Barbara and his sons Harold and Daniel, and their wives, Brenda and Susan and four grandchildren.